Videogames have been a huge part of my life ever since my earliest memories and I owe them for getting me through some tough times. Even before learning to read, I wanted to play the same games my older siblings played. That meant clicking randomly in PC games like Super Solvers: Gizmos & Gadgets!, Where in the World is Carmen San Diego?, and Indiana Jones and the Fate of Atlantis. In that little kid fashion, I felt like I was at least doing something. Yet, something inside me yearned to play for real. The time and quality I had playing videogames were directly connected to my living situation. Both my older brother and I were still in school, but even though he was 7 years older than I, we both had infinite free time, even more so during the summer breaks. This gave us LOTS of time to rent and buy numerous videogames. Our plan of attack consisted of recycling the games we’d beaten to fund the new ones. We lived together in the same house hold for the majority of my life and, because of that, I garnered a special situation with him. 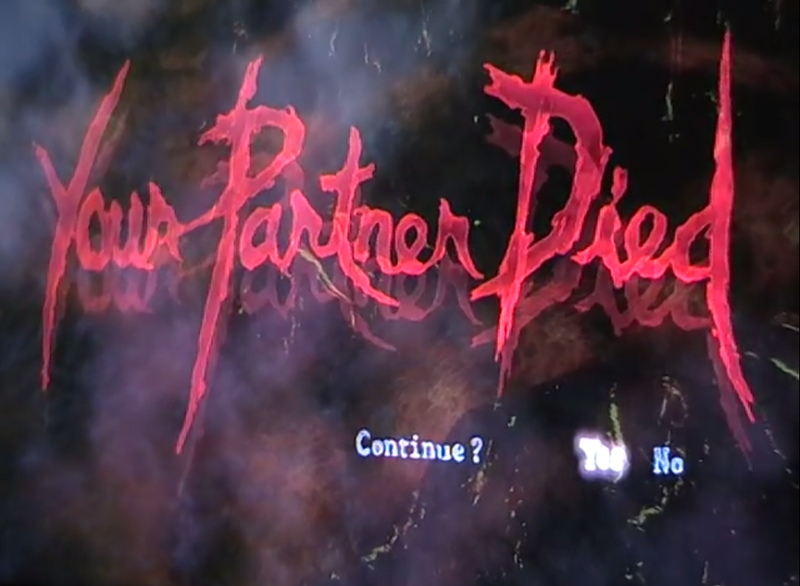 Now that he is married and raising a family of his own, and we live our own separate lives, we still try to find time to reconnect with new games. During the recent Steam summer sale I bought my brother Double Dragon Neon and Sid Meier’s Civilization V with the complete expansions for us to play together. In this day and age though, we cannot return to that nice infinite free time we once had. A place lost in time and space, only accessible now through memories. I was lucky enough to grow up in a house hold where both of my parents were a bit nerdier than most adults (and attributing to who I am today). My father liked to play computer games and I vividly remember him, my brother, and I all huddle around the monitor playing/trying to solve King’s Quest: Mask of Eternity. By the time I had gotten my Nintendo 64, I already had a stack of Game Boy cartridges lying around. Even with all those I was still just wading into the world of gaming. The introduction of my new and specifically first console opened up a whole new world of interaction with my father and brother. We could now play multiplayer games against each other. Before it was all working as one unit (mostly me watching) or us taking turns, but now we were shooting each other and having fun facing off in GoldenEye 007. My parents would soon divorce and the trio became a duo as my brother and I lived with our mother, leaving us the only gamers in the house. With every dark patch there is a bit of light as he and I grew closer and bonded over the Nintendo 64. You see my mom got paid every two weeks on Friday. This was a boon for both my brother and I getting home from school. Our routine consisted of going to the grocery store (which also had arcade cabinets inside) to buy stuff for breakfast the next morning, making plans to order up dinner, and the coup de grace of the evening by venturing into Block Buster. My brother and I immediately made a B line for the videogames section to see if they had any new releases. We would peruse the isle for everything and anything we found interesting and eventually decided on something to take home. After finishing our dinner, we rushed to play whatever we had rented for the glorious week. The N64 had a great deal of multiplayer games, as my brother and I would either face off in Army Men: Air Attack or NFL Blitz or play Co-Op in Jet Force Gemini. For single player games such as The Legend of Zelda: Ocarina of Time or Star Wars: Shadows of the Empire, we’d work together and take turns passing the controller back and forth. This is, without question, probably one of the happiest times of my life. I lived without any real responsibilities, had Saturday morning cartoons to watch with a great breakfast, and of course videogames to play. Now this article isn’t just about me. Fellow writer Franklin Raines recently told me about him and his brother’s experience playing videogames. They both have long lasting ties to the Halo and Gear of War franchises either playing the main campaign or horde mode together. They even set aside any discrepancies to get chores done quicker by working together and thus having more time to play The Lord of the Rings: Return of the King. Now Franklin and his younger brother Brandon are closer in age than my brother and I. This gave them a slight advantage over my brother Atti and I, as Atti would occasionally leave to hang out with friends his age. Franklin told me a story of when they were about to beat Resident Evil 5, where Franklin and Brandon could not beat the final battle with Wesker in the volcano. With Franklin as Chris Redfield and Brandon as Sheva Almor, hours were spent starting over and over, as Brandon couldn’t quite complete one specific quick time event. The event entailed Chris and Sheva being separated by terrain, wherein Sheva at one point must quickly jump across an active lava flow, as a tentacle monster-warped Wester was right behind her. But Brandon couldn’t pull it off, as the sight of Sheva continuously loosing her grip on the adjacent gorge wall and failing to her lava based death was forever burned into Franklin’s eyes. Finally, around 2:00 in the morning, Franklin suggested they switch controllers and he does it in one fell swoop. Both of them got a sense of excitement and comradery that can only be shared by the one thing they both enjoyed: videogames. 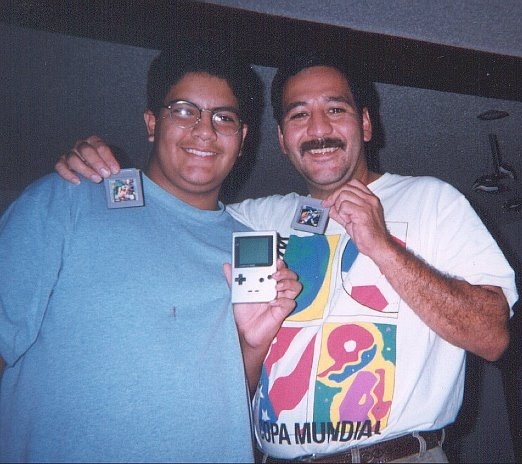 Even our residential Mr. Moe Man Francisco Garcia has had fleeting moments of gaming with his younger sister. 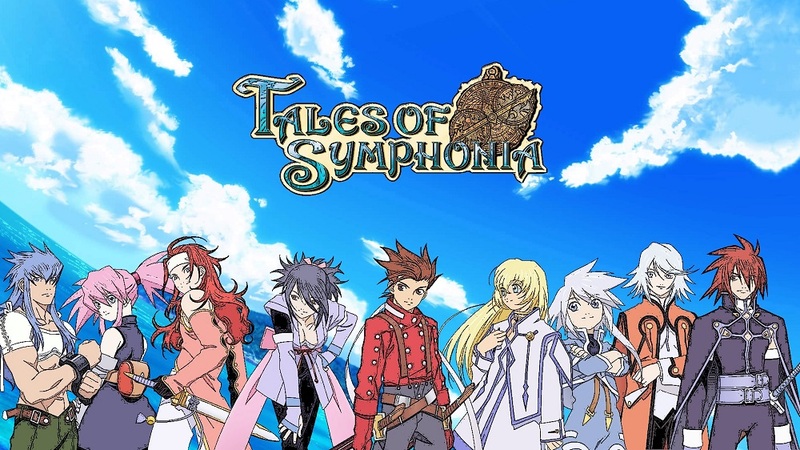 The games that they played together the most were from the Tales of series. With its ease of access drop in and out combat system, Francisco was able to play with his pretty normal sister and make her a fan as well. Which led her to play Tales of Symphonia for 9 hours straight, days on end, during her spring break. Francisco even got her to play arena mode in Monster Hunter Tri once or twice. Sadly nowadays, Francisco says it’s getting harder and harder to convince her to play videogames, as he feels she is regressing to being more “normal” (whatever that means). I say either be Tales of Vesperia, or go home. All of us here at Oddity Game Seekers have a special place in our hearts that is reserved for those memories of gaming with our families. While no longer the length and quality that they were before, today we still treasure what we gained from bonding with our brothers and sisters. It lets us share our love of videogames, a means that let us be heroes, villains, and even creatures from another world. Taking that passion and being able to share it with a close family member is a special kind of bonding I hope to get back one day. When I look back on these times I know what I want out of the future. A future where I hope to create similar memories with children of my own, and hopefully they can too with their siblings. This entry was posted in Editorial, Past Generation and tagged Blockbuster, Childhood, Family, Game Boy Color, Gaming, Growing Up, Nintendo, Nintendo 64, Reminiscing. Bookmark the permalink. ← The Sky Crawlers – Innocent Aces Review: Happy Hunting!